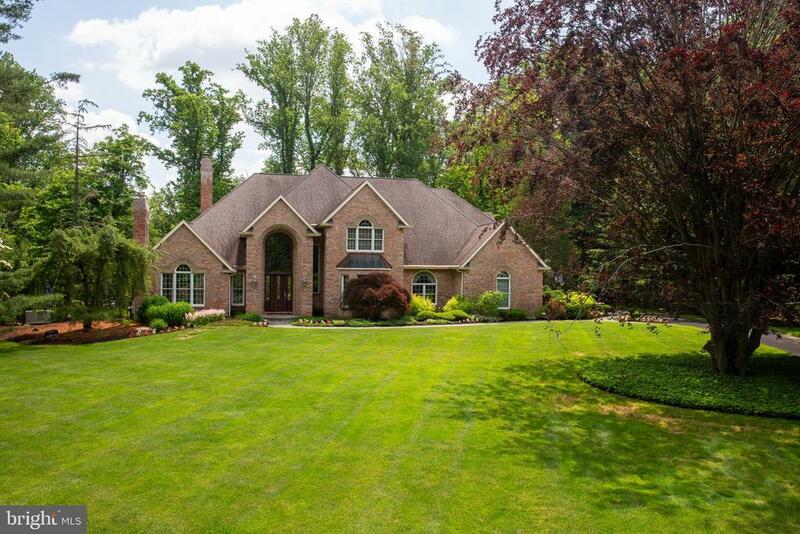 A magnificent custom built home in New Hope-solebury schools. Enter into this home through the gated entrance and enjoy the location and quality that supersede this home. This home features extensive mill work and an engaging floor plan which is meant to entertain and be comfortable. The first floor boast a large gourmet kitchen, island, back staircase to the 2nd floor, and opens to the family room with fireplace, and captivating coffered ceiling this room also enters into the lounge with 2nd fireplace, this floor also offers a guest bedroom w/full bath, formal dining room, and cherry paneled study, 2 entrances to the extensive patios and porch that surround the picturesque pool with grill, refrigerator and pool house (changing room and shower)! The 2nd floor features a main bedroom with beautiful views and design and 2 additional bedrooms. The lower level features a full bedroom w/ full bath, entertaining area & game area 1/2 bath and additional storage areas. Additional features are hardwood through out the 1st and 2nd floor, Generator, newer heating and cooling system, meticulously maintained.